This phpFox Notification and Newsletter template is coded in compliant HTML and CSS with additional responsive CSS when view on a mobile device. It is fully customizable and easy to install. Here is what the template looks like when sent. 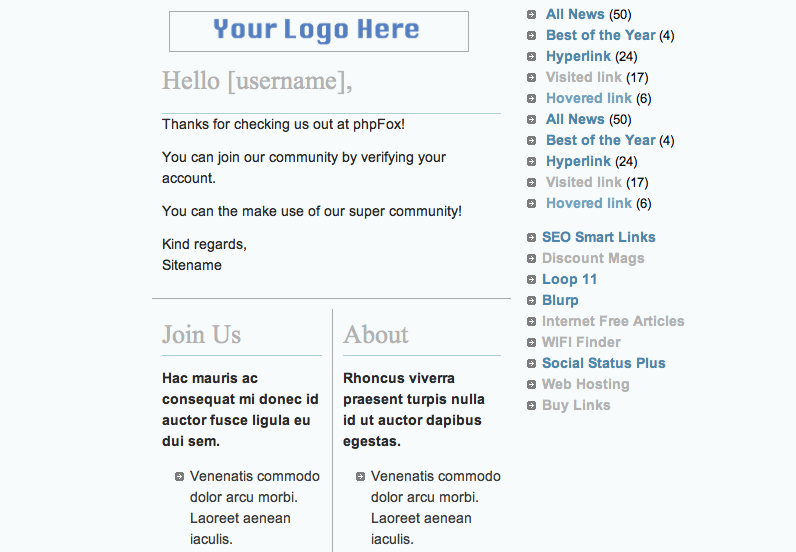 Want more free themes and templates? 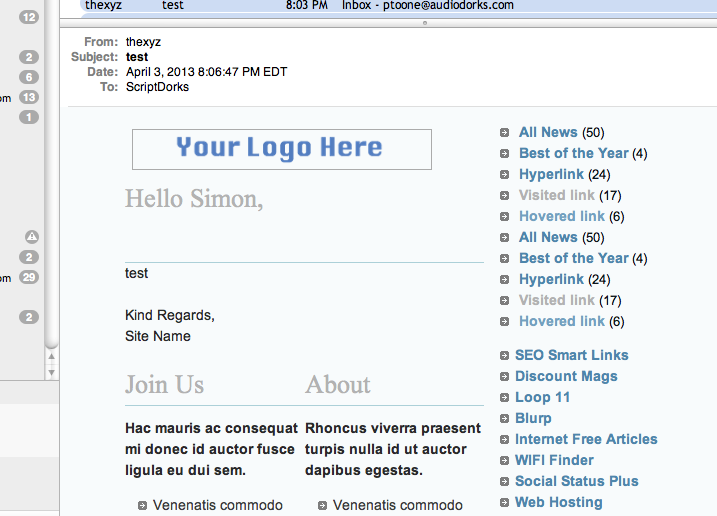 Our email subscribers get exclusive free themes and templates as well as some coupons.